Mi Notebook Air Ultra performance in an ultra-light package Uncompromising performance in an ultra light, ultra thin body. Mi Notebook Air features a 13.3" display and full-sized keyboard in a full metal body. Despite how thin it looks, it is deceptive powerful with up to 3x higher processing speeds, 15% faster RAM speeds, and 2.1x times higher graphics performance on a dedicated graphics card. Protected with edge-to-edge glass protection for its fully laminated display and comes with dual-band Wi-Fi. Lightweight metal body Ultra performance in an ultra-light package By combining a highly sophisticated motherboard, fully laminated display, and high density battery, Mi Notebook Air delivers on uncompromising performance while staying thin and light. Picks up easily with one hand and fits comfortably in most computer bags. Performance and memory Heavyweight performance, without the weight A performance that's top of its class, Mi Notebook Air includes a 6th-gen Intel Core i5 Processor, DDR4 RAM, PCIe SSD, dedicated graphics card, and GDDR5 SDRAM. Even when editing videos or playing games, it executes intensive tasks with ease. Not every notebook has dedicated graphics card Love gaming? We have included a dedicated graphics card, specially made to process graphics and 3D games better. Smooth animation effects coupled with full HD display improves your gaming experience by 2.1X, we're pretty sure you will get hooked on your game in no time Fully laminated and ultra narrow bezel. Full HD display made different Up to 1920 x 1080p, is even 1.8X clearer than 24" desktop monitors. 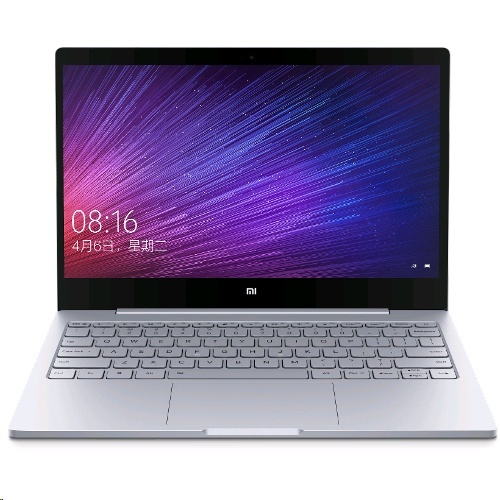 Mi Notebook Air has an ultra-thin 5.59mm bezel with edgeless glass protection. Its fully laminated display greatly reduces glare, and it is perfect for indoor and outdoor usage.